2014-15: Selected as a reserve to the 2015 Eastern Conference All-Star Team … Eastern Conference Co-Player of the Month (January) … Eastern Conference Player of the Week (Dec. 29 - Jan. 4) … 2013- 14: Eastern Conference Player of the Week (April 7-14). In 79 games (78 starts), averaged 15.7 points, 5.9 assists, 2.7 rebounds and 1.2 steals in 28.5 minutes (.439 FG%, .400 3FG%, .837 FT%) ... Ranked 17th in the NBA in assists, tied for 17th in three-point percentage, 34th in free throw percentage and 39th in steals per game ... Scored in double-figures 63 times, including 23 20-point nights (one 30-point game) ... Tallied four double-doubles and had five double-digit assist games ... Led the team in scoring 20 times, assists on 49 occasions and rebounding twice ... Posted single season career-highs in three-point field goals (110), three-point percentage and rebounds per game ... Recorded a season-high 32 points to go with eight assists, five rebounds and one steal (12-15 FGs, career-high 5-6 3FGs, 3-3 FTs) against Dallas, 2/1 ... Tallied 24 points (10-17 FGs, 1-4 3FGs, 3-3 FTs), nine assists, a career-high tying three blocks, two rebounds and one steal against Minnesota, 11/9 ... Missed three games (11/15-11/18) due to a left ankle sprain. In seven seasons with Atlanta (2009-16), Teague has appeared in 518 games (383 starts) and averaged 12.1 points, 5.2 assists, 2.2 rebounds and 1.2 steals in 26.1 minutes per game … Holds career shooting percentages of .448 from the field, .355 from three-point range and .838 from the foul line ... Finished his Hawks’ career ranked seventh in franchise history in steals (613), and eighth in three-pointers made (420), three-point attempts (1,184) and free throw percentage (.838) ... 2014-15: Earned his first All-Star berth, played in 73 games (72 starts) and averaged 15.9 points, 7.0 assists, 2.5 rebounds and 1.7 steals in 30.5 minutes (.460 FG%, .343 3FG%, .862 FT%) ... Finished tied for eighth in the NBA in apg, 14th in spg, 19th in FT% and 24th in FTM (275) ... Scored in double-figures 59 times, including 25 20-point outings ... Led the team in assists 59 times, scoring on 23 occasions and rebounding once ... Named Kia NBA co-Eastern Conference Player of the Month in January 2015 ... 2013-14: Recorded averages of 16.5 points, 6.7 assists, 2.6 rebounds and 1.1 steals in 32.2 minutes in 79 games, all starts (.438 FG%, .846 FT%) ... Ranked ninth in the NBA in apg, tied for 18th in free throws made (318) and 25th in free throw percentage ... Had 13 double-doubles on the season ... Scored in double-figures 65 times (23 20-point outings, including three 30-point nights) ... Increased his scoring average for the fourth straight year ... 2012-13: Recorded 14.6 points and career-high 7.2 assists along with 2.3 rebounds and 1.5 steals in 32.9 minutes (.451 FG%, .359 3FG%, .881 FT%), appearing in a team-high 80 games (78 starts) ... Ranked eighth in the NBA in free throw percentage, 12th in apg and 24th in spg ... His .881 percentage at the line was the fourth-highest in franchise history, while his 579 assists was the eighth-best singleseason effort ... 2011-12: One of the league’s most improved players, he started all 66 games, averaging 12.6 points, 4.9 assists, 2.4 rebounds and 1.6 steals in 33.1 minutes (.476 FG%, .342 3FG%, .757 FT%) ... Ranked eighth in the NBA in steals (106), 10th in steals per game, 20th in STL/TO ratio (0.79), 22nd in assists (321), 23rd in assists per game and 40th in FG% ... 2010-11: The second-year guard averaged 5.2 points, 2.0 assists and 1.5 rebounds in 13.8 minutes (.438 FG%, .375 3FG%, .794 FT%) ... 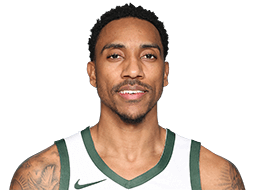 Scored in double-figures 12 times, including three 20-point efforts ... 2009-10: In his rookie campaign, Teague finished the year averaging 3.2 points, 1.7 assists and 0.9 rebounds in 10.1 minutes (.396 FG%, .837 FT%), playing in 71 games (three starts) ... Ranked 10th among rookies in assists. Leading the Hawks to the playoffs in each of his seven seasons in Atlanta, Teague has put in 13.0 points, 4.4 assists and 2.6 rebounds in 28.9 minutes per game in 52 career postseason games (41 starts) … Holds postseason shooting percentages of .406 from the field, .328 from three-point range and .876 from the line ... 2015-16: Averaged 14.5 points, 6.1 assist and 1.9 rebounds in 10 games as the Hawks reached the Eastern Conference Semifinals … Scored in double figures eight times with two games with 20 or more … Averaged 16.5 points and 6.0 assists per game as the Hawks defeated the Celtics in six games in the First Round … Finished with 23 points and 12 assists in Boston’s Game 1 win, 4/16 … Added 19 points and 14 assists in Game 3 against the Cavaliers, 5/6 … 2014-15: Posted a team-leading 16.8 points and 6.7 assists while adding 3.2 rebounds and 1.5 steals in 33.0 minutes (.410 FG%, .323 3FG%, .867 FT%) while starting all 16 playoff games in 2015 ... Recorded a team-leading 21.5 points and 4.5 assists, while posting 3.3 rebounds and 1.3 steals in 35.0 minutes (.434 FG%, 1.000 FT%) in the Eastern Conference Finals vs. Cleveland ... Recorded playoff career-highs of 30 points (5/24) and 11 FGM (5/20) in the Cleveland series ... 2013-14: Started all seven games in the First Round series versus the Pacers, putting in 19.3 points, 5.0 assists, 3.7 rebounds and 1.0 steals in 34.6 minutes ... 2012-13: In six starts against Indiana, averaged 13.3 points, 5.0 assists, 2.8 rebounds and 1.5 steals ... 2011-12: Started all six games against Boston in the First Round series and put in 14.0 points, 4.2 assists and 3.7 rebounds in 37.5 minutes ... 2010-11: Appeared in eight games (six starts) vs. Orlando and Chicago, and compiled 11.8 points, 3.5 assists and 2.1 rebounds in 29.8 minutes (.514 FG%, .826 FT%) ... Had a breakout second round vs. Chicago in place of the injured Kirk Hinrich, and tallied 14.8 points, 4.2 assists, 2.8 rebounds and 1.0 steals in 38.2 minutes (.537 FG%, .842 FT%), while squaring off headto-head against NBA MVP Derrick Rose ... 2009-10: Averaged 1.8 points and 6.6 minutes (.333 FG%, .400 3FG%) in nine playoff contests against Milwaukee and Orlando. Teague was named Honorable Mention All-America by Associated Press after his breakout sophomore season (2008-09), when he averaged team-highs of 18.8 points, 3.5 assists and 1.9 steals, hitting team-best .441 3FGs and .817 FTs (made .485 FGs) ... Named All-ACC Second Team ... Helped Wake achieve a No. 1 national ranking ... Scored in double-digits in last 35 games of his career ... Finished with 12 games of 20-points-or-more ... Led team in scoring 17 times and in assists on 15 occasions ... Just missed a triple-double with 14 points, eight rebounds and eight assists against Baylor ... As a freshman in 2007-08, averaged 13.9 points and was named to the ACC All-Freshman Team ... Named ACC Rookie of the Week on four occasions ... Led team with 55 steals for an average of 1.8 per game ... Ranked second on the team with 74 total assists ... Scored 20-points-or-more in six games, and led the team in scoring 10 games. Born in Indianapolis and graduated from Pike High School ... Son of Shawn and Carol Teague ... Has two brothers and two sisters ... Brother Marquis currently plays professionally in Israel ... Father played at Missouri and Boston University, where he was coached by Rick Pitino ... Majored in religion at Wake ... Sponsors an AAU program for local youth in the Indianapolis area … Favorite movie is “Boys in the Hood,” and top TV shows are “The Jamie Foxx Show” and “Martin” ... Enjoys listening to R&B and Hip-Hop, especially Jay-Z ... A huge fan of professional wrestling ... Roots for his hometown Indianapolis Colts ... Enjoys vacationing in Miami ... Likes to draw ... On twitter @Teague0.